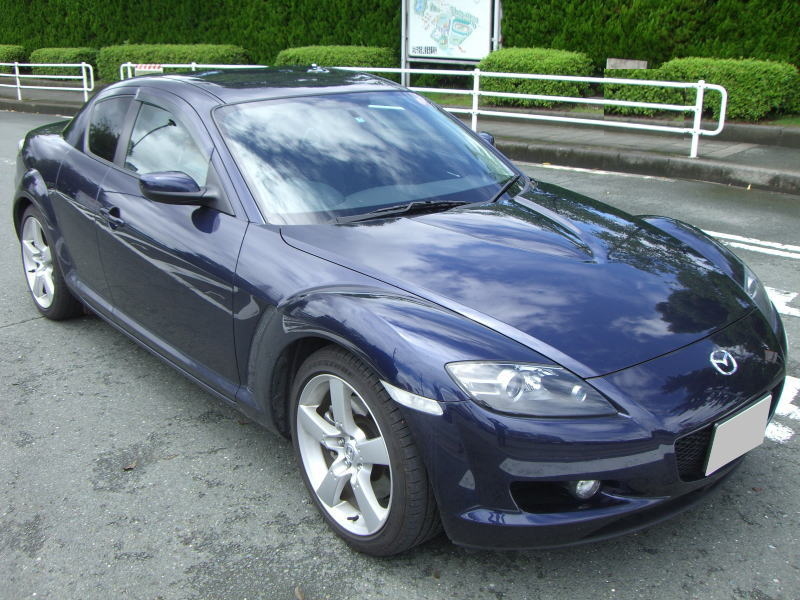 mazda RX-8 Spec - J's Garage Export Co., Ltd.
2003.04 : Mazda announced the release of the RX-8 : A four-door, four-seater sports car in Japan on April 9. 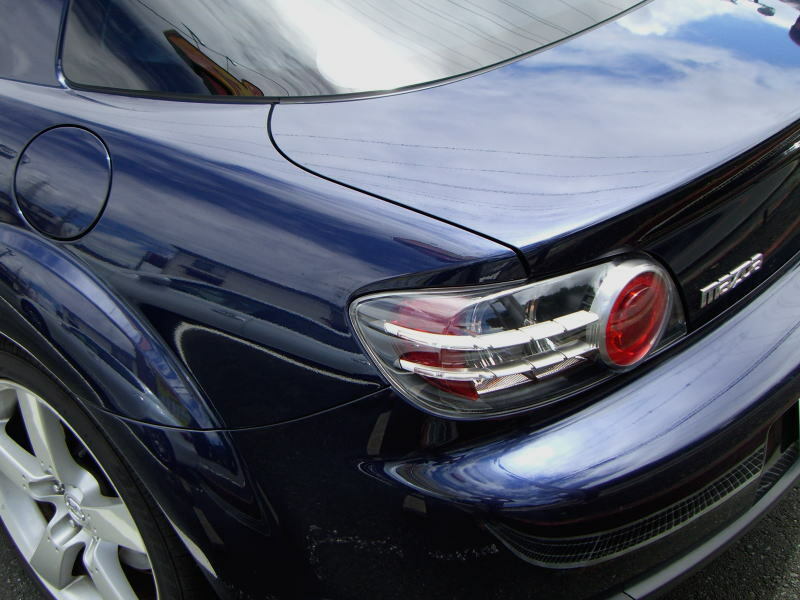 The RX-8 is an entirely new type of sports car that features distinctive sports car styling and excellent performance. The engine is a naturally aspirated rotary engine called RENESIS. The RX-8 lineup includes the base model with a 13B-MSP engine that makes 210 horsepower and a choice of 5 speed manual transmission or 4 speed automatic transmission, RX-8 type-E with a 13B-MSP engine that makes 210 horsepower and 4 speed automatic transmission, and RX-8 type-S with a 13B- MSP engine makes 250 horsepower and 6 speed manual transmission. 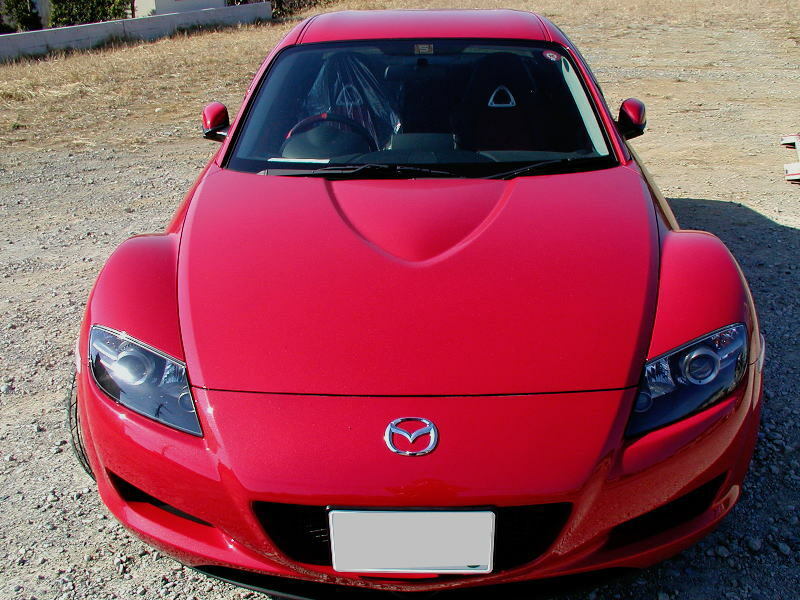 The main features of the Mazda RX-8 are : Compact and a naturally aspirated rotary engine called "RENESIS". The engine is a lightweight and compact rotary engine that makes 250 horsepower. The twin-rotor engine employs side intake and exhaust ports and features approximately 30% more intake area than previous rotary engines. Moreover, fuel efficiency and emissions are improved. The engine is mounted on the front midship ; this design places the engine very close to the center of the vehicle and reduces the yaw inertia moment. The suspension adopts a newly developed in-wheel type double wishbone front suspension and long link multi-link rear suspension. The center-opening freestyle door system allows effortless vehicle entry and exit to both front and rear seats. Manual transmission models employ a lightweight one-piece prop shaft to reduce noise-vibration-harshness (NVH) levels. 2003. 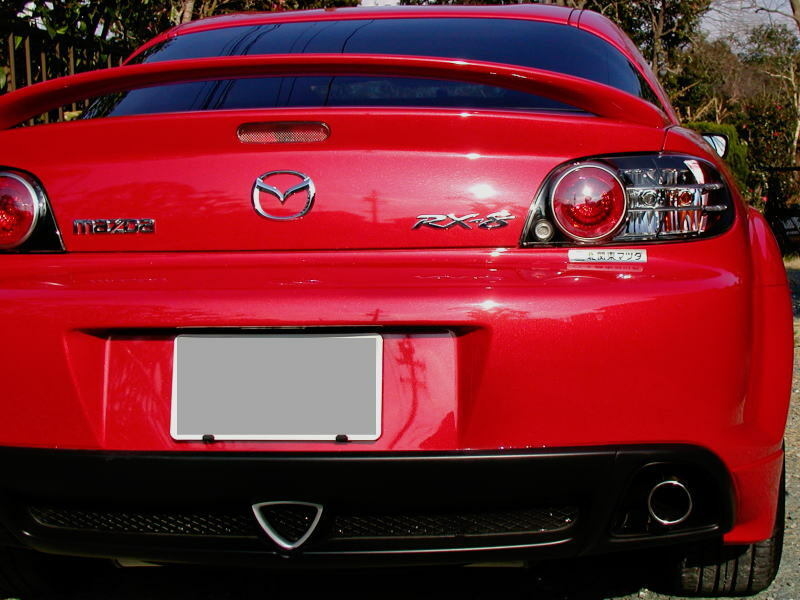 12 : Mazda announced the release of a limited edition RX-8 Mazdaspeed Version. 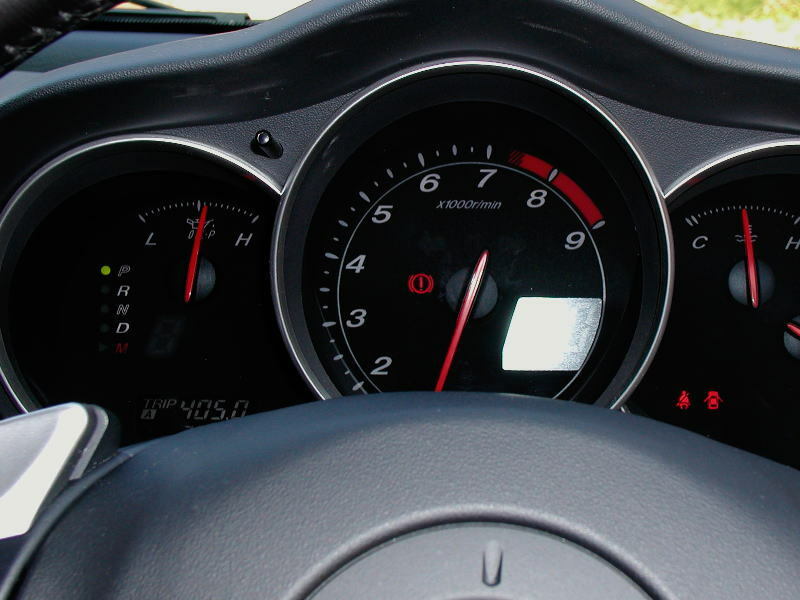 The RX-8 Mazdaspeed Version is based on the RX-8 Type S. Mazda has tuned up the engine using it's exclusively designed PCM (Powertrain Control Module) to match the modified intake and exhaust systems of the Mazdaspeed Version, as well as going through balance adjustments around the eccentric shaft in response to the lightweight flywheel. Mazda has also tuned up the suspension and fitted aero parts to further enhance sports driving performance. 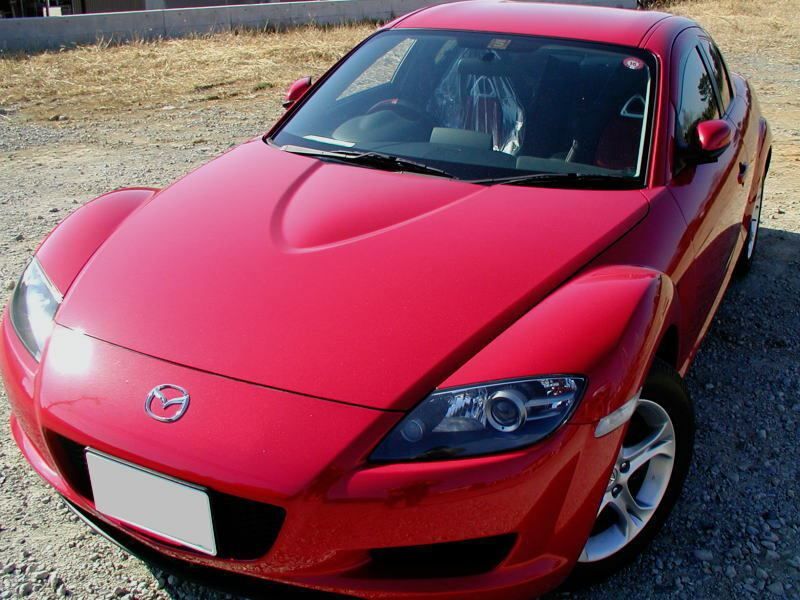 2004.08 : Mazda RX-8 Mazdaspeed Version 2, based on the Mazda RX-8 Type S model, includes an exclusively tuned engine, suspension system and aero parts to further enhance the vehicle's sports driving performance. Features of the RX-8 Mazdaspeed Version include : Tune-up parts exclusive to RX-8 Mazdaspeed Version 2 : PCM (Powertrain Control Module), fresh air duct, sports sound muffler with catalyst, upgraded spark plugs, re-balancing for the eccentric shaft, upgraded high-performance suspension kit includes height- and damping force-adjustable shock absorbers and sports spring set, Mazdaspeed ornament. Existing Mazdaspeed tune-up parts : Oil cooler, light-weight flywheel, brake pad set, front/rear strut tower bar and performance bar set, large front/rear stabilizer, front nose, rear under skirt, side skirt set and rear wing, earthing kit. 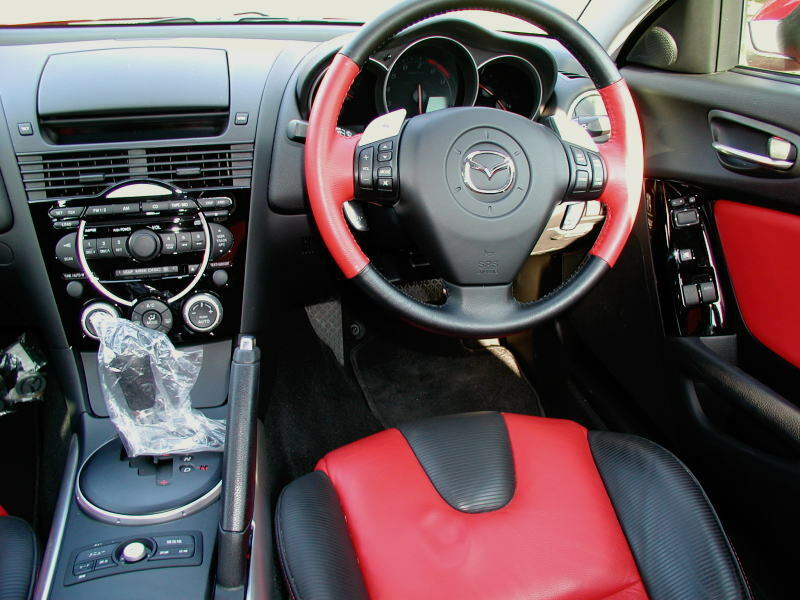 New standard equipment on all Mazda RX-8 models includes an anti-theft immobilizer and a stylish retractable-type key.